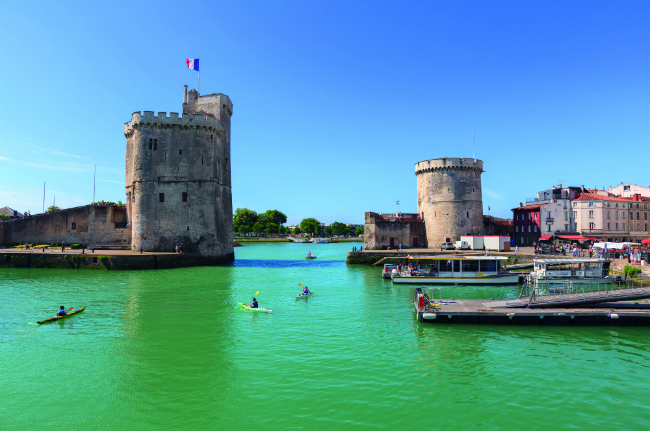 If you’re seeking la France profonde, with great weather, endless sandy beaches, and plenty for history buffs and outdoor enthusiasts alike, you need look no further than Charente and Charente-Maritime, says Guy Hibbert. 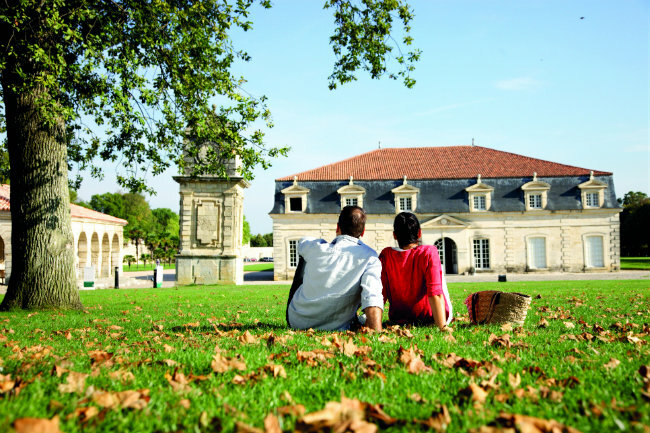 Having owned a house in this part of France for some years, and enjoyed many happy days exploring the region, I confess to a great fondness for the ‘two Charentes’. 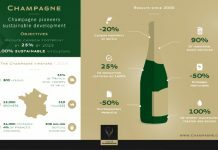 Last year they became part of the newly-created Nouvelle-Aquitaine, a vast super-region that extends from the Spanish border to Limousin. 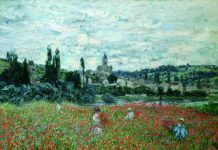 Despite this, there is still a sense here of la France profonde, that semi-mythical land where the rhythms of life are governed by old-fashioned values and a strong sense of community. 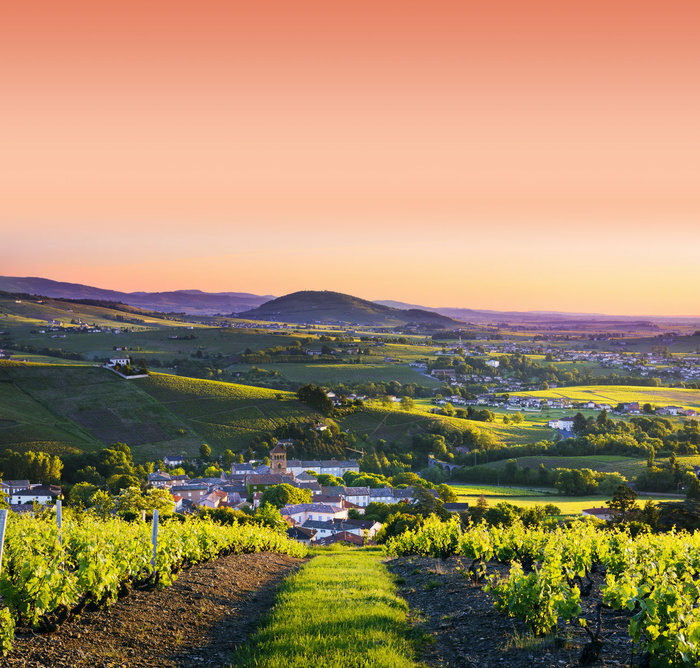 Largely agricultural and with no mega-city to act as a magnet for employment and commerce, it is easy to find the peace and quiet so often lacking in modern urban spaces. 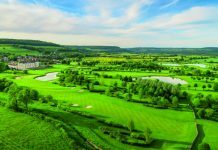 Far enough south to benefit from warmer winters and plenty of sunshine, in more recent decades the area has seen a notable influx of people from Britain, Belgium, Holland and northern France – all coming in search of tranquillity and a life with more time for simple pleasures with family and friends. 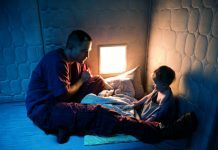 For anyone from more northern climes, the pleasure of sitting outside, even on a winter’s day, or knowing that you will always have a good summer, is a big part of the appeal. 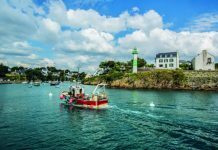 It’s that lure of good weather coupled with clean Atlantic waters and endless sandy beaches that has made Charente-Maritime a hugely popular destination for French holidaymakers. 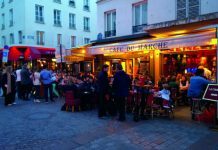 In fact, recent figures show that in 2016 it was the most visited summer hotspot in France – for the third year running. Here you can enjoy the best of both worlds: you have the get-away-from-it-all appeal of charming villages, sleepy rivers and pretty countryside, while never being more than an hour or so in a car away from the coastal delights of chic harbourside restaurants and family-friendly beaches with activities for the children. The countryside offers numerous pleasures, on land and on water. 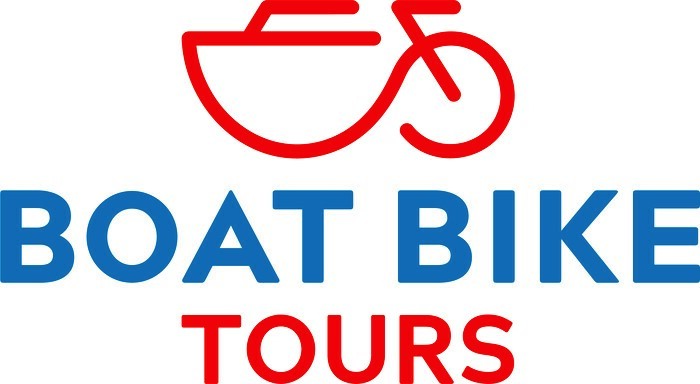 Cycling is super popular with visitors of all ages and the region is blessed with every kind of route imaginable, from off-road trails signposted as Vélo Tout Terrain (VTT), to carefully-planned tours for longer-distance road cycling. The web-based information available is exceptional too – everything from route planners to ideas for picturesque refreshment stops. 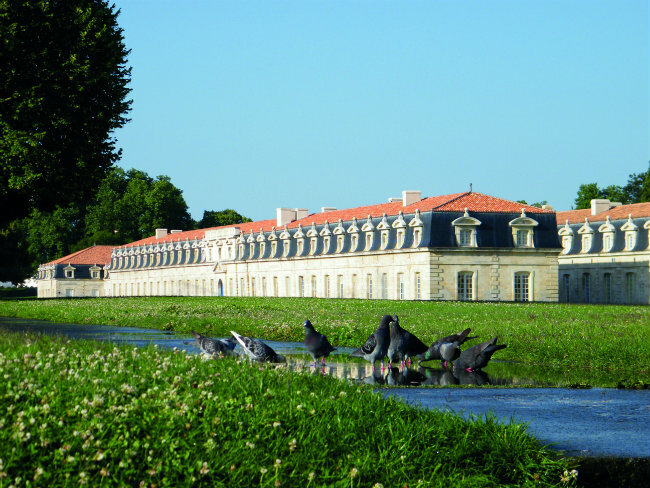 With its miles and miles of cycle routes and generally at terrain, Charente-Maritime is famed for being one of the best destinations in France for “La Petite Reine”, the bicycle. 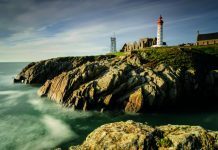 As well as carefree holiday cycling on the Île de Ré, there are also national and international routes crossing the département to entice the cyclist – you’ll be spoiled for choice. 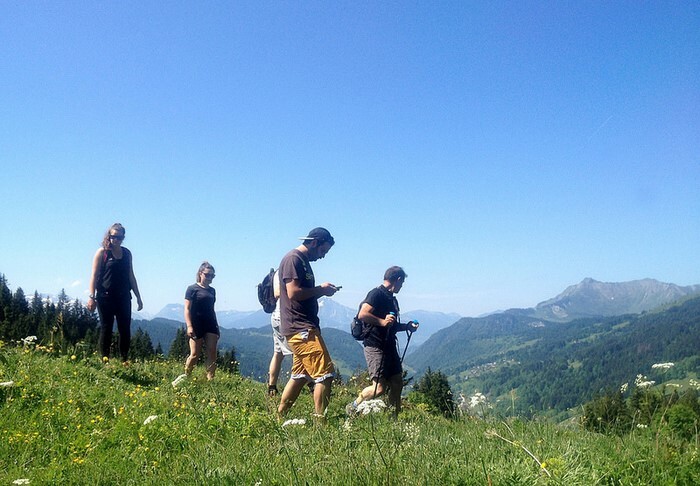 Another great way to discover the diversity of both départements is to get booted up and start walking on some of the numerous marked trails here. 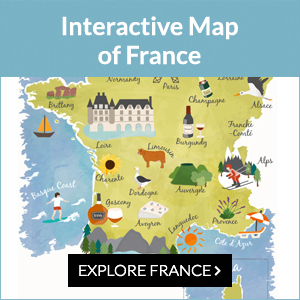 The Charente tourism website lists 20 great routes of around 10km on average, but very often the tourist offices and mairies of local villages will have their own maps and routes to follow. 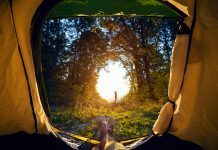 For longer-distance walkers there’s the world-renowned Chemins de Compostelle to follow, with various routes passing through Charente and Charente-Maritime. Beginners should not be put off, however. 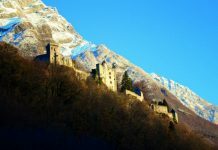 There aren’t any mountains in the region and there’s a choice of every kind of walk, from a leisurely stroll to longer hikes. 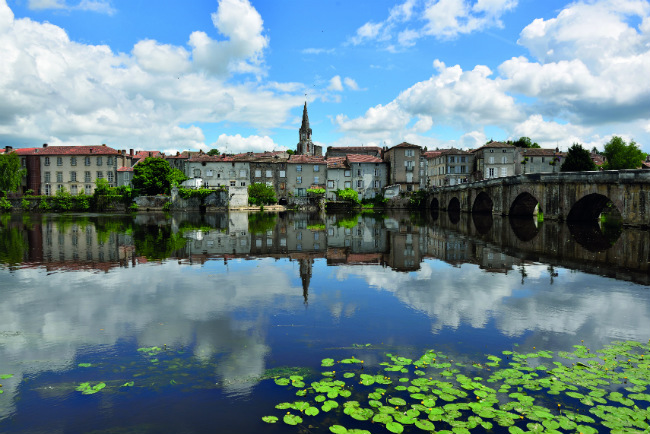 Inland, you can hire boats for river cruising on the sedate and picturesque Charente river, but more traditional water activity is on offer all along the vibrant Atlantic coastal towns and villages of the Charente-Maritime. With 19 Blue Flag beaches, here you can find some of the finest golden sand in France. Beaches on the Gironde estuary, such as Saint-Georges-de-Didonne, Meschers-sur-Gironde and Saint-Palais-sur-Mer offer safe swimming and acres of sand for the kids to roam, as well as jet-skiing and kite-surfing facilities. Further north, the exposure to the Atlantic makes for bigger waves and fine surfing. 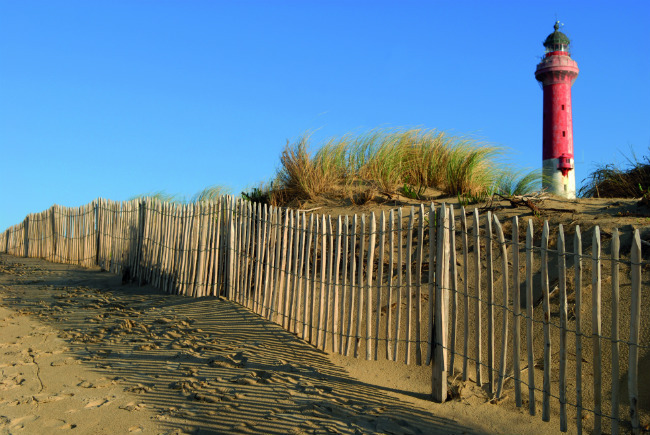 On the eco-friendly Île d’Oléron there are several surf schools and long beaches, such as the Plage de Vert-Bois, where pine trees give way to rolling dunes. Even for non-swimmers and non-surfers, it is still good fun to soak up the seaside atmosphere of the towns and villages. Royan, a popular resort since the days of the Belle Époque, has seven fine beaches, but it’s also fun to sit on the promenade with a platter of fruits de mer and watch the world go by, or to check out the growing number of art galleries and boutiques. 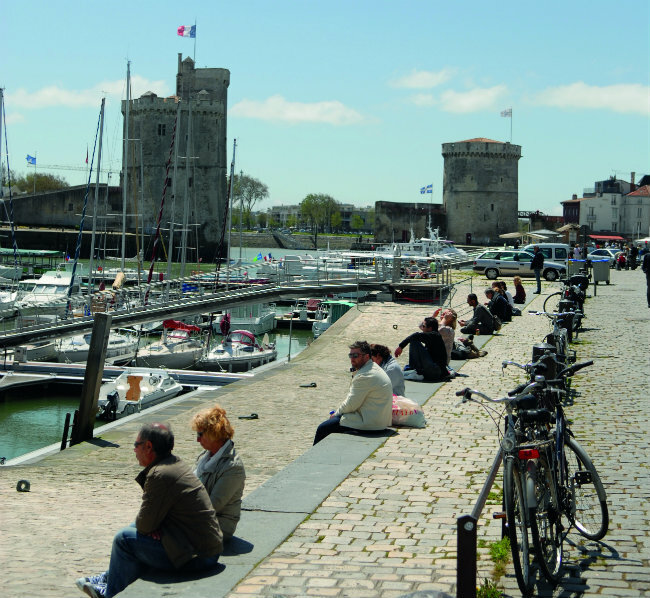 La Rochelle is a historic port town full of atmosphere. Its quays are lined with wonderful seafood restaurants and there are a number of appealing boat trips leaving from the harbour. The aquarium here is also a popular attraction. Nearby Île de Ré is a sought-after spot for the wealthier French crowd, with numerous chic hotels and restaurants – especially at stylish Saint-Martin-de-Ré and Ars-en-Ré. But it’s also a family-friendly destination with lovely beaches and quiet, traffic-free cycle lanes criss-crossing the whole island. 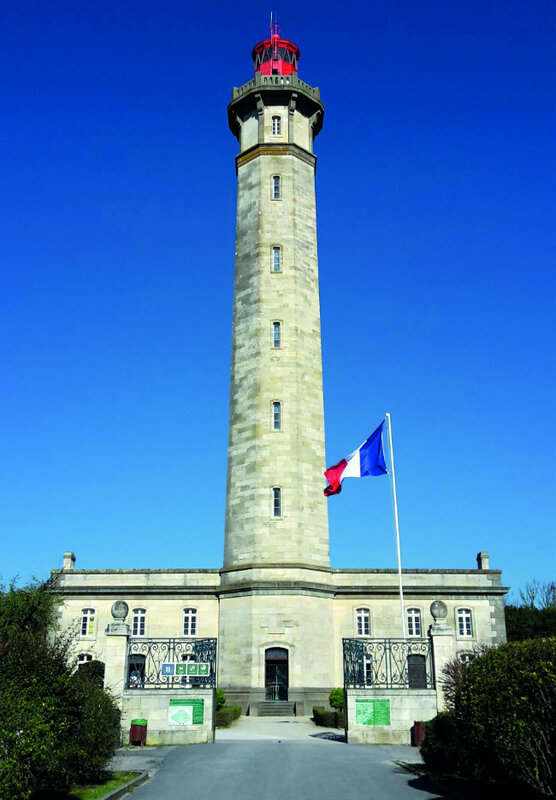 Discover the sea-salt lagoons, taste some oysters, or visit the historic lighthouse, the Phare des Baleines. 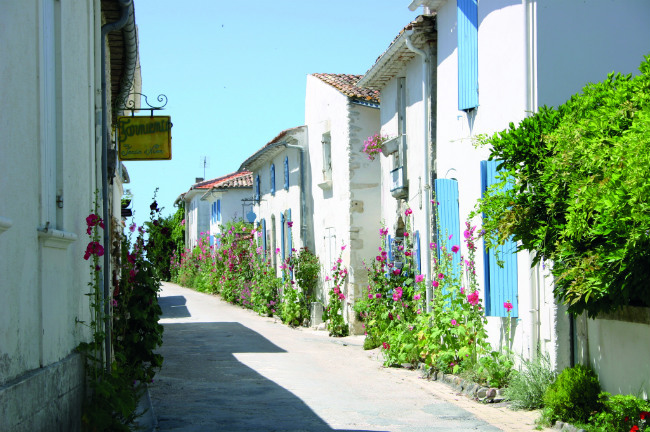 Further south, it’s well worth visiting the bastide town of Talmont with its unique church on the promontory overlooking the coast and its maze of side streets lined with multi-coloured hollyhocks. 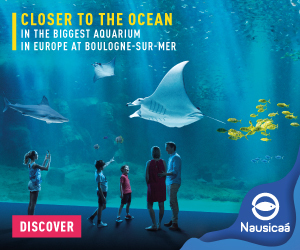 Another great day out is at the Palmyre Zoo, one of the oldest private zoos in France, which is notably proud of its conservation record – each year sees the birth of between two and three hundred offspring of endangered species. At Rochefort, a famous port and site of naval construction for centuries, visit the impressive buildings of the old naval arsenal, the fascinating Corderie Royale museum, the Musée National de la Marine, and the Hermione, a replica of the ship in which Lafayette sailed to the aid of the Americans during the War of Independence. If the seaside air doesn’t invigorate you, then why not indulge in some wellness and spa pampering? 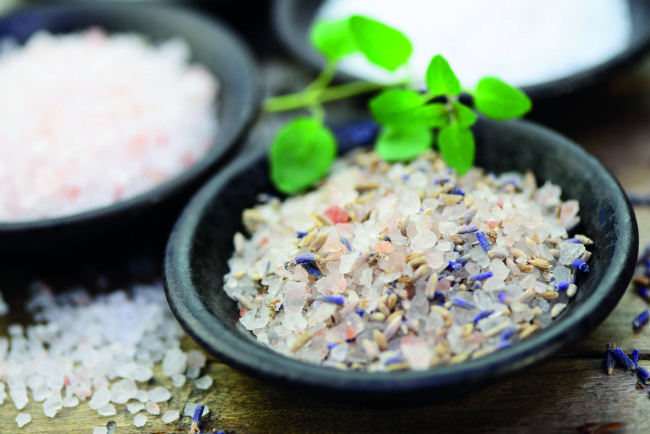 Thalassotherapy, the use of seawater, sea salt and even seaweed for healing and relaxing, is growing in popularity here. 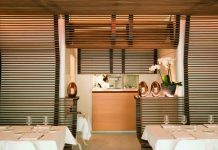 There are over half a dozen hotels and spas in the Charente-Maritime where you can soothe mind and body in beautiful surroundings. Medieval Romanesque architecture is like a thread woven through the landscape of the two départements. White stone churches with their thick limestone walls, curved arches, columns and carvings are dotted around the countryside, sometimes even in the smallest villages. 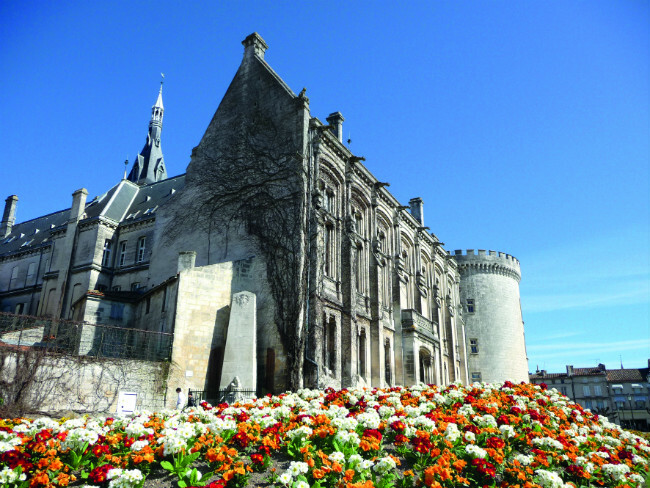 Yet the grandest of them all is in the regional capital, Angoulême, where the cathedral dominates the city’s skyline. Special examples of the unique Romanesque style are not only found in larger towns like Saintes, but also in some of the most beautiful and characterful smaller villages of Charente and Charente-Maritime, where the style has also been used for secular dwellings as well as for churches. 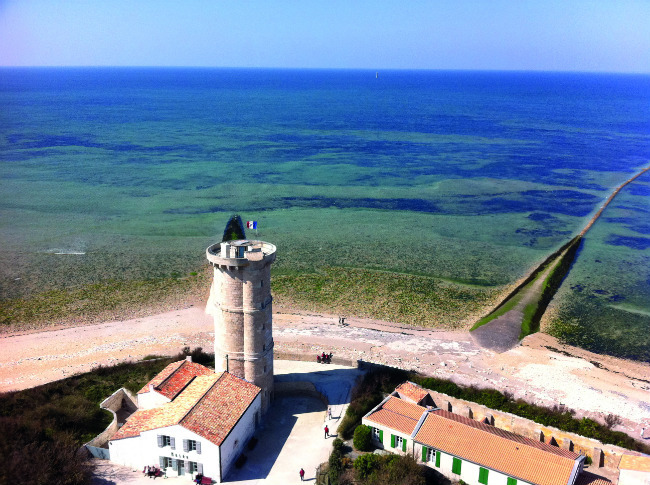 Some of these villages make the grade as members of the ‘Plus Beaux Villages de France’ association: Ars-en-Ré is known for the bell tower of its church that sports a black-and-white arrow used as a point of reference for mariners. 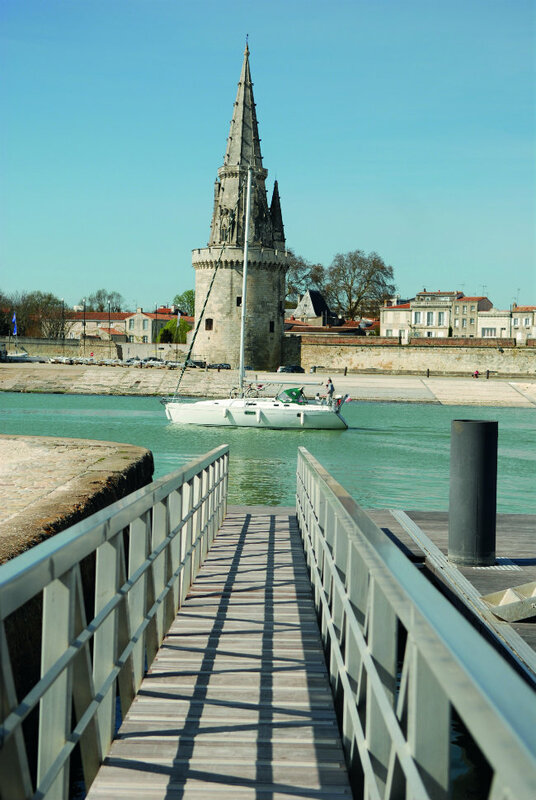 La Flotte-en-Ré is an extremely pretty fishing and pleasure port that sways to the rhythm of the boats in the harbour. 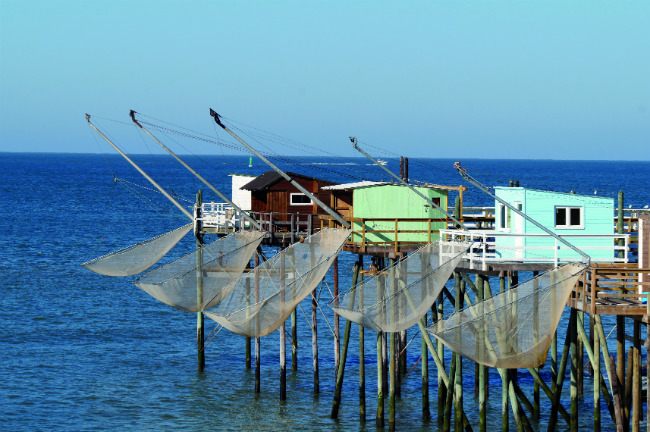 An old commercial port, Mornac-sur-Seudre, now concentrates on oyster and salt production and is an artisans’ paradise. Fifteen kilometres south of Royan is Talmont-sur-Gironde, founded in 1284 by Edward I of Aquitaine on a rocky promontory overlooking the Gironde estuary. 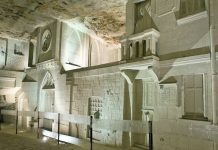 Ambient Aubeterre-sur-Dronne, in the Sud Charente, sits on a cliff-face overlooking neighbouring Dordogne and boasts a Romanesque church, as well as the largest underground monolithic church in Europe. South of Angoulême, on a hilltop, sits Villebois-Lavalette and its château. It’s a charming village full of old Charentais townhouses. Confolens is a popular medieval town on the Vienne river in the north of Charente. Here, every August, an international folklore festival takes place. 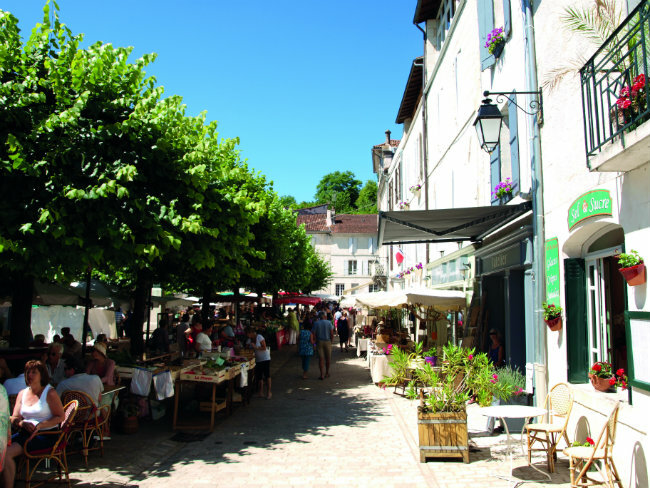 Nanteuil-en-Vallée is recognised as a ‘Petite Cité de Caractère’, an old village where it is a pleasure to become a flâneur for an hour and enjoy the old buildings and riverside arboretum. On the northern border of Charente-Maritime is the famous Marais Poitevin, the so-called ‘Green Venice’, where 44,000 acres of wetland are protected to preserve a rare natural habitat and important ecological environment. The area can be readily explored by boat. Angoulême, capital of the Charente département, is definitely worth a visit, even though it is not often marked on the obvious tourist trails. 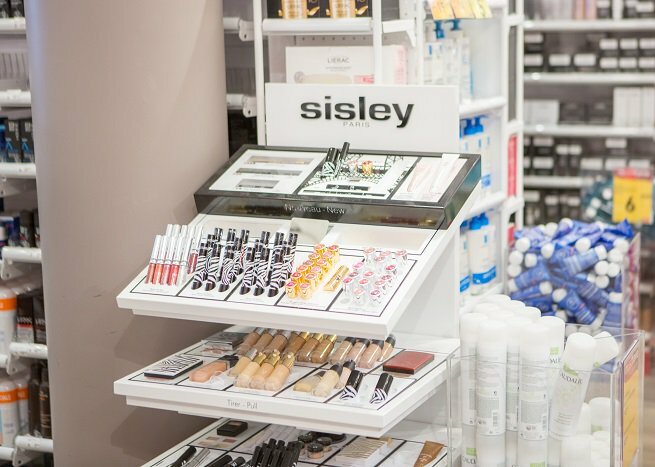 The old part of the city is small enough to stroll along its uncrowded streets of white limestone town houses, where you will come across quirky boutiques, cafés and chocolatiers. The city is home to the international festival of bandes dessinées, comic books. This huge event runs every January and draws enthusiasts from all over the world. 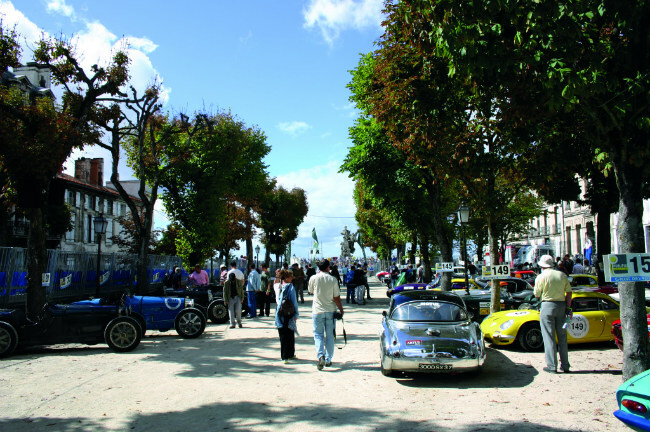 Meanwhile, every September, the city streets roar into life with the sound of vintage and classic car engines as drivers from all over Europe bring their precious vehicles to race in the annual Circuit des Remparts – a dramatic and exciting spectacle. 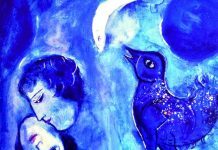 The creation of the Nouvelle-Aquitaine super-region is unlikely to detract from the region’s charms. 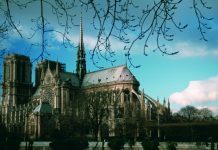 In fact, investment in new transport links and upgrades to attractions and accommodation options means this is a great time to visit a part of France that truly has something for everyone. 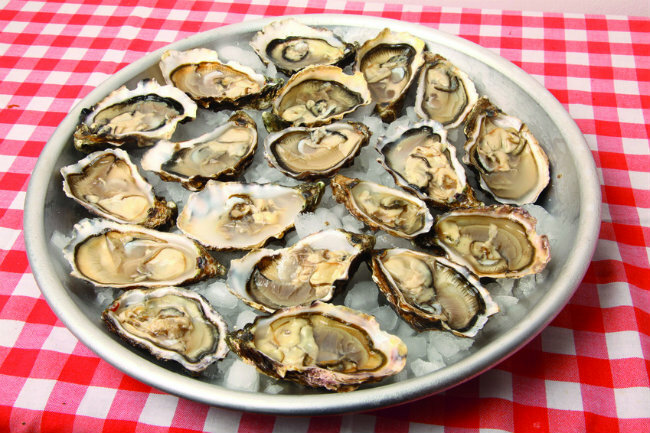 Oysters: The Marennes-Oléron oysters are highly prized. The clean sea conditions, local climate and centuries of farming know-how combine to produce sweet and delectable huîtres. Cognac: Cognac is an eau-de-vie, the water of life, recognised worldwide as the finest spirit produced from grapes. It’s the perfect after-dinner digestif when visiting the region. Why not add a splash of ginger ale for a pre-dinner cocktail? 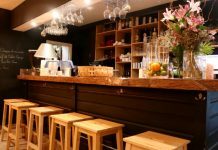 Pineau des Charentes: It is said to have been discovered by accident, but this happy misadventure is now a regular apéritif at restaurants throughout the region. Sweet grape flavours laced with the bite of Cognac create a versatile drink that can also be used in cooking sauces or served in a Charentais melon. Fleur de sel: Sea salt, the so-called fleur de sel, is another key export of the area, which dates back to the Middle Ages, when monks began working the salt beds of the Îles de Ré and Oléron. At one point, the islands hosted more than a thousand workers, harvesting 25,000 tons of salt annually. and sweet grassland of this region have allowed Charentais butter to become highly regarded by chefs and consumers alike. 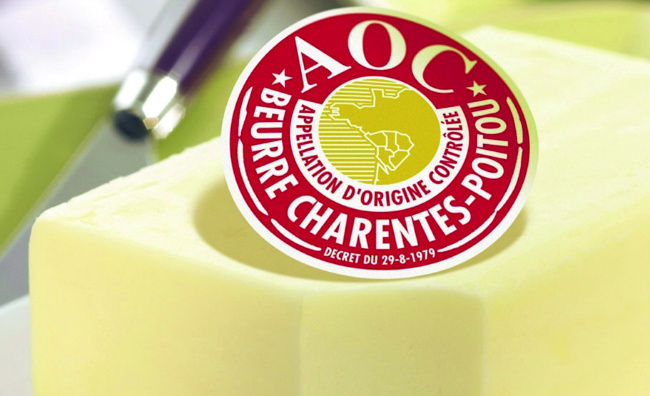 Beurre Charentes-Poitou is an Appellation d’Origine Protégée (AOP) product.